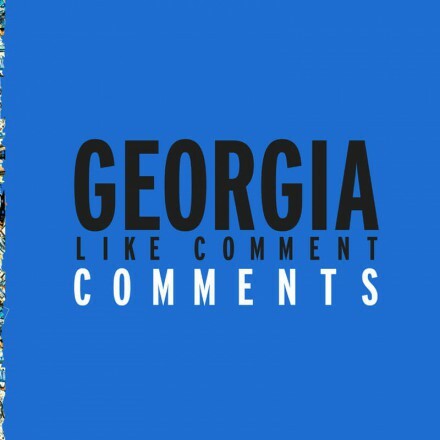 Following up on "Like Comment," last year's excellent full-length by Georgia, we are happy to present an eclectic and gently schizophrenic remix package, entitled "Like Comment Comments." The 12" features contributions by Bryce Hackford (Prah/DFA), Matt Werth (RVNG Intl. ), Afrikan Sciences (DeepBlak/PAN) and Thomas Bullock (Rub-N-Tug), plus two new tracks by Georgia that further develop their informed hypnagogic ambient-pop tendencies. Bryce Hackfod takes Nu-Way Heat into subtle club music territory, conjuring up a distinct, varied and mesmerizing house track that builds and layers into a blissful mini-anthem. Matt Werth puts nu-digidub spin on Abstract High, turning the original into a confrontational and slightly absurdist slab of dancefloor confrontation. Afrikan Sciences deconstructs Mahbunzi Nahgo Pihndi Goes To The Market using his characteristic broken breakbeat approach to create a piece of daft and extremely modern electronic funk. Finally, Thomas Bullock modi-cuddles Haya into an prolonged ambient reverie to bridge and layer between dance floor pulsations. Georgia’s 2014 album, Like Comment, was packed with scatterbrained ideas, which makes it perfect remix material. In the usual mode of Belgian label Meakusma, this collection is both wildly imaginative and understated. The best contributions dig into the originals’ dense percussive grids, coming out with strange new rhythmic shapes. RVNG Intl. boss Matt Werth, on a rare production outing, betrays the influence of his label’s recent Savant reissue; his “Gone Fishin'” mix of “Abstract High” is machine-like post-punk of a similar stripe. PAN/Deepblak beatsmith Afrikan Sciences slips into the gaps between the grid on his deranged mix of “Mahbunzi Nahgo Pihndi Goes To The Market.” Its beat patterns zip past in gooey disarray, as if they’re half-finished specimens flying off a pottery wheel. Elsewhere, things settle down a bit. New York’s Bryce Hackford turns in a carefree house version of “Nu-Way Heat,” the EP’s most straightforward pleasure. Rub-N-Tug’s Tom Of England, here under the guise Tom Of Georgia, pulls apart “Haya” to uncover a sparse, pensive loop piece. (Compared to its companions, the track’s arctic synths and thoughtful guitar noodling feel a bit tame.) Georgia themselves tie the whole thing together with two tracks of their own. The first “Bridge” is an off-colour synth number with lewd guitar twangs, and the second sounds like three Jan Garbarek records stacked onto one another. They’re fitting icing on an exceedingly strange cake. A fine bunch of remixers refract Georgia’s colourful, mulitfarious grooves for Belgium’s meakusma. Afrikan Sciences impresses most with a wonderfully chaotic, polymetric revision full of modular plongs, jazzy harmonics and clipped drums ranking among the best we’ve heard from the PAN artist, whilst RVNG Intl’s cut-up and hard-wired Gone Fishin’ Mix possibly betrays strong influence from Powell in the best way. Georgia also hold their own with a wry selection of discordant ‘Bridge’ tracks and the deliquescent, hyaline prisms of ‘Haya’, as reworked by Tom of Georgia.